March 2019: Follow-up article on our Intensive Care Medicine article in the Science page of the Irish Times. 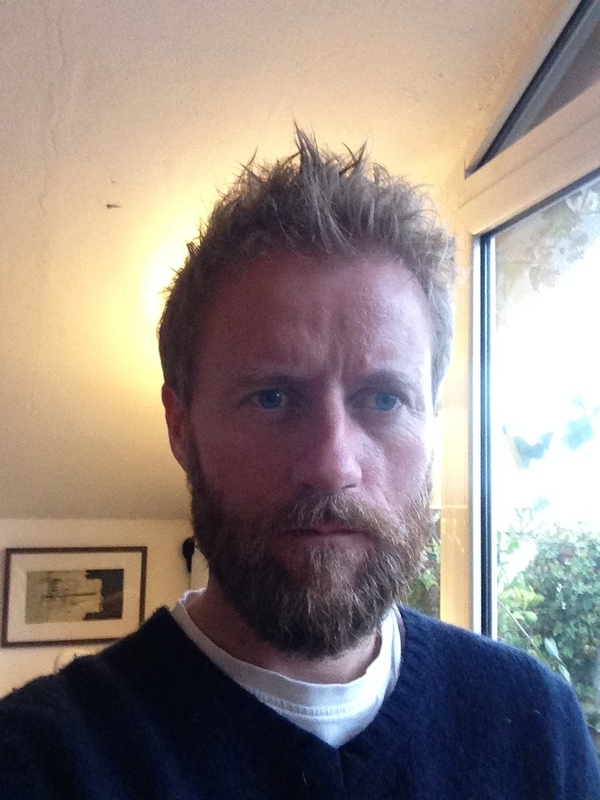 March 2019: Congratulations to Alex who has won the inaugural Faculty Post-Doctoral Research Prize for Engineering. February 2019: News story on our research in the Irish Times. February 2019: Our first paper with Dr. Nadir Yehya of the Children's Hospital of Philadelphia is published in the leading journal in the field of Intensive Care Medicine! Read the University press release on this research here. October 2018: Very honoured to speak at the 8th Hedenstierna Laboratory Master Class Symposium in Uppsala University, Sweden, on our work on physiological modelling for intensive care and anaesthesia. October 2018: New paper in Trends in Biotechnology with WISB Research Fellow Lauren Swiney looking at ways in which cognitive biases shape public perceptions of Synthetic Biology. August 2018: Nuno and Alex will both be presenting their work at a special invited session on Biomolecular Computing and Feedback Systems at the upcoming IEEE CDC in Miami in December. August 2018: Anup's new paper is published in the Journal of the Royal Army Medical Corps! June 2018: Warwick University press release on Iulia's ACS Synthetic Biology paper. May 2018: Congratulations to Alex, who has passed his PhD viva subject to minor corrections, and has already started as a PDRA in the group. Also welcome to Dr. Ahmad Mannan, who joins the group as a WISB PDRA. We expect great things! May 2018: Congratulations to Iulia, whose paper with Mathias "A Framework for Engineering Stress Resilient Plants using Genetic Feedback Control and Regulatory Network Rewiring" has just been published in ACS Synthetic Biology! April 2018: Congratulations to Mathias, who has taken up a lecturing position at Coventry University. March 2018: Warwick University press release on Alex's Nature Comms paper. December 2017: Congratulations to Alex, whose paper with our collaborators from the Jimenez lab has been accepted for publication in Nature Communications! November 2017: Congratulations to Melchior, who has passed his PhD viva subject to minor corrections. September 2017: Excellent talks and fun times at WISB's International Workshop in Venice. July 2017: A three year PDRA position funded by the Leverhulme Trust is now available in our group to conduct research on the control of chemical reaction networks. For more details and to apply, click here. July 2017: Jack's new paper with Victoria Hsiao (Caltech) and Wilson Wong (Boston University) on modelling recombinase-based temporal logic gates is published in the inaugural issue of IET Engineering Biology. May 2017: A pre-print of Alex's new paper on cellular resource allocation controllers is now on bioRXiv and is in the top 5% of all research outputs ever tracked by Altmetric. March 2017: Very much looking forward to starting our new £1.4M EPSRC project on “Personalised Simulation Technologies for Optimising Treatment in the Intensive Care Unit: Realising Industrial and Medical Applications”, in collaboration with our industrial and academic partners Prof. Jonathan Hardman, University of Nottingham, and Dr. Luigi Camporota, King’s College London. January 2017: A nice "Crystal Ball" essay in Microbial Biotechnology from our collaborator Dr. Jose Jimenez of the University of Surrey on the future role of modelling in biology. December 2016: Congratulations to Emzo de los Santos who has been awarded a four-year Research Career Development Fellowship from WISB. We expect great things! November 2016: Anup's new paper with Marc Chikhani and Jon Hardman from the University of Nottingham is published in the world's leading journal in the field of Anaesthesiology. October 2016: Bon voyage to Rucha Sawlekar who has submitted her PhD thesis exactly 3 years after joining the group and is now departing to take up a PDRA position with Jorge Goncalves' group in Luxembourg. All the best Rucha and we will miss you! September 2016: After a heroic amount of work by Melchior du Lac, our new paper with the Leonard Lab on "Predicting the dynamics and heterogeneity of genomic DNA content within bacterial populations across variable growth regimes" has been accepted for publication in an upcoming special issue of ACS Synthetic Biology on bio-design automation. Congratulations Mel! May 2016: Our application to the recent joint BBSRC/NSF call on Synthetic Biology has been selected for funding. We will be working with Prof. Wilson Wong at Boston University for the next three years to develop rewritable biocomputers in mammalian cells. May 2016: The group has three papers accepted for presentation at the 38th Annual International Conference of the IEEE Engineering in Medicine and Biology Society, to be held in Orlando in August. Congratulations Anup, Wenfei, Rucha, Alex and Mathias. May 2016: Sina Saffaran joins the group to do a PhD in Systems Medicine - welcome Sina! April 2016: WISB Launch Symposium and Industrial Showcase held at Warwick, with keynote speakers Ron Weiss (MIT), Vincent Martin (Concordia) and Judith Armitage (Oxford), and speakers from DNA2.0, Syngenta, Evolva, Ingenza, Shell, Green Biologics, Microsoft Research and Ginkgo Bioworks. November 2015: Rucha Sawlekar was named winner of the 2015 UK Automatic Control Council PhD Showcase - congratulations Rucha! October 2015: Alexander Darlington joins the group to do a PhD in Synthetic Biology, co-supervised by Prof. Orkun Soyer in Life Sciences. Welcome Alex! September 2015: Dr. Emzo de los Santos joins the group, co-supervised by Prof. Greg Challis and Prof. Christophe Corre in Chemistry. Emzo is working on WISB projects on modelling and control of biosynthetic pathways. July 2015: Dr. Mathias Foo joins the group, working on WISB projects on synthetic control systems and plant re-engineering. May 2015: The group has 4 papers accepted for presentation at the 37th Annual International Conference of the IEEE Engineering in Medicine and Biology Society, taking place in Milan this August - congratulations everyone! May 2015: Dr. Jamie Luo joins the group, co-supervised by Dr. Sara Kalvala in Computer Science. Jamie is a WISB researcher working on the development of modelling and design tools for synthetic microbial communities. June 2015: Jack, Rucha and Mel present their research at the Synthetic Biology: Engineering, Evolution and Design (SEED) conference in Boston. January 2015: Prof. Vishwesh Kulkarni joins the School of Engineering at Warwick as Assistant Professor of Synthetic Biology - welcome Vishwesh! December 2014: 15 PDRA positions available in WISB - more info. November 2014: Oxford-Warwick-Bristol Centre for Doctoral Training in Synthetic Biology is now accepting applications for 2015/2016 - applications from engineering students are particularly welcome! More info. M. Foo, D.G. Bates and O.A. Akman, "A simplified modelling framework facilitates more complex representations of plant circadian clocks", submitted, 2019. J.E. Bowyer, D. Chakravarti, W.W. Wong and D.G. Bates, "Mechanistic modelling of tyrosine recombination reveals key parameters determining the performance of a CAR T cell switching circuit", submitted, 2019. S. Saffaran, A. Das, S. Algarni, J.G. Hardman, D. Sharkey and D.G. Bates, "Computational Simulation of Mechanically Ventilated Neonatal Patients in the Intensive Care Unit", submitted, 2019. N.M.G. Paulino, M. Foo, J. Kim and D.G. Bates, "On the stability of nucleic acid feedback controllers", submitted, 2019. N.M.G. Paulino, M. Foo, J. Kim and D.G. Bates, "PID and state feedback controllers using DNA strand displacement reactions", submitted, 2019. A.P.S. Darlington and D.G. Bates, "Combining transcriptional and translational resource allocation controllers for synthetic circuits", submitted, 2019. M. Haque, T.E. Scott, A. Das, I. Cliff, D.G. Bates and J.G. Hardman, "Efficacy of continuous positive airway pressure (CPAP) in casualties suffering from primary blast lung injury: A modeling study", to appear in the proceedings of the 41st IEEE Engineering in Biology and Medicine Conference, Berlin, 2019. M. Laviola, C. Niklas, A. Das, D.G. Bates and J.G. Hardman, "High oxygen fraction during airway opening is key to effective airway rescue in obese subjects", to appear in the proceedings of the 41st IEEE Engineering in Biology and Medicine Conference, Berlin, 2019. N.M.G. Paulino, J. Kim, M. Foo, D.G. Bates, "Robustness analysis of a nucleic acid controller for a dynamic biomolecular process using the structured singular value", to appear in the Journal of Process Control, 2019. M. Laviola, A. Das, M. Chikhani, D.G. Bates and J.G. Hardman "Investigating the effect of cardiac oscillations and deadspace gas mixing during apnea using computational simulation", in proceedings of the 39th Annual International Conference of the IEEE Engineering in Medicine and Biology Society, JeJu Island, S. Korea, 2017. S. Saffaran, A. Das, J.G. Hardman, N. Yehya, and D.G. Bates, "Development and Validation of a Computational Simulator for Pediatric ARDS Patients", in proceedings of the 39th Annual International Conference of the IEEE Engineering in Medicine and Biology Society, JeJu Island, S. Korea, 2017. M. Foo, I. Gherman, K. Denby and D.G. Bates, "Control Strategies for Mitigating the Effect of External Perturbations on Gene Regulatory Networks", in proceedings of the 20th World Congress of the International Federation of Automatic Control (IFAC), Toulouse, 2017. M. Foo, J. Kim and D.G. Bates, "System identification of gene regulatory networks for perturbation mitigation via feedback control", in proceedings of the 14th IEEE International Conference on Networking, Sensing and Control, Calabria, 2017. C. Cosentino and D.G. 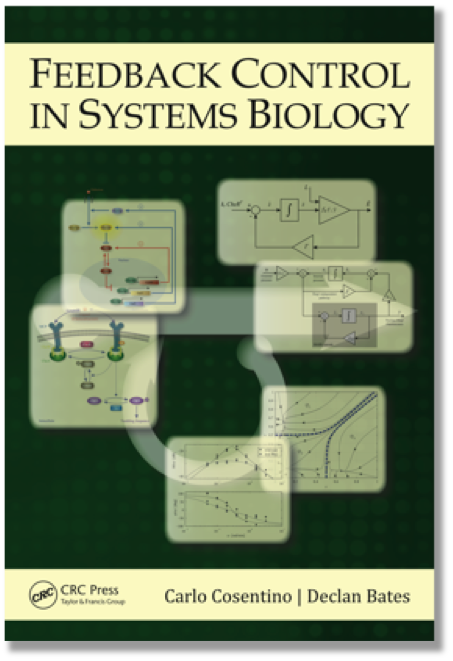 Bates, Feedback Control in Systems Biology, CRC Press (Taylor & Francis), 2011. £4.7M, Centre for Doctoral Training in Synthetic Biology, EPSRC/BBSRC, (with Prof. Antonis Papachristodoulou, Prof. Andrew Tuberfield, Prof. Judy Armitage, University of Oxford, Prof. Claire Grierson, Prof. Dek Wolfson, University of Bristol, Prof. Orkun Soyer, University of Warwick), 2014-2022. £1.4M, Exploiting the Syntegron Technology Platform for Assembly and Optimisation of Complex Genetic Ensembles, EPSRC/NSF, (with Prof. Susan Rosser, University of Glasgow, Prof. Paul Freemont, Imperial College London, Prof. Anne Osbourn, John Innes Centre, Prof. Joshua Leonard, Northwestern University, USA and Prof. Jay Keasling, University of Berkeley, USA) 2013-2016. £650K, Integrated Cardiopulmonary Modelling for the Investigation of the Management of Disturbed Tissue Perfusion, MRC, (with Prof. Jonathan Hardman and Dr. Iain Moppett, University of Nottingham), 2012-2015. £4M, Engineering Synthetic Microbial Communities for Biomethane Production, BBSRC sLOLA, (with Prof. Orkun Soyer, School of Life Sciences, University of Warwick, Prof. Richard Titball, Prof. David Studholme and Prof. Angus Buckling, University of Exeter, Prof. Russell Davenport, Prof. Jan Dolfing and Prof. Tom Curtis, University of Newcastle, David Campbell Stuckey, Imperial College London, Prof. David Swarbreck, TGAC), 2013-2018. £425K, Development, Validation and Application of Population-Based Pulmonary Disease Models using Robustness Analysis and Ensemble Forecasting, EPSRC, (with Prof. Jonathan Hardman, Queen’s Medical Centre, University of Nottingham), 2011-2014. £417K, Evolving Controllers and Controlling Evolution, EPSRC (with Prof. Orkun Soyer, School of Life Sciences, University of Warwick), 2011-2014. £1.4M, Synthetic Integrons for Continuous Directed Evolution of Complex Genetic Ensembles, EPSRC/NSF, (with Dr. Susan Rosser, University of Glasgow, Prof. Paul Freemont, Imperial College London, Prof. Anne Osbourn, John Innes Centre, Prof. Joshua Leonard, Northwestern University, USA and Prof. Jay Keasling, University of Berkeley, USA) 2010-2012. £586, Post-Transcriptional Feedback Control of Polyamine Metabolism in Yeast: An Integrated Modelling and Experimental Investigation, BBSRC, (with Dr. Ian Stansfield, University of Aberdeen), 2008-2011. £432K, Preventing Ventilator Associated Lung Injury using Feedback Control Engineering, EPSRC, (with Dr. Jonathan Hardman, University of Nottingham), 2008-2011. Declan Bates is Professor of Bioengineering in the School of Engineering at the University of Warwick. He is Co-Director of the BBSRC/EPSRC Warwick Integrative Synthetic Biology Centre (WISB), and Co-Director at Warwick of the EPSRC/BBSRC Oxford-Warwick-Bristol Centre for Doctoral Training in Synthetic Biology. Prof. Bates was born in Clonmel, Co. Tipperary, Ireland in 1970 and educated at Powerstown National School and the High School, Clonmel. He received a B.Eng degree in Electronic Engineering and a Ph.D. degree in Robust Control Theory from the School of Electronic Engineering, Dublin City University, Ireland, in 1992 and 1996 respectively. On completing his PhD he joined the Control and Instrumentation Research Group led by Prof. Ian Postlethwaite in the Department of Engineering at Leicester University, where he worked as a post-doctoral research associate, lecturer, and senior lecturer, before being appointed to a Personal Chair in Control Engineering, aged 38. In 2010 he was appointed Professor of Biological Systems Engineering in the College of Engineering, Mathematics and Physical Sciences of the University of Exeter and in 2013 he moved to the University of Warwick as Professor of Bioengineering. His early research applied design and analysis methods from robust control theory to a range of aersopace systems, including gas-turbine engines (with Alstom Power) and large passenger aircraft (with Airbus). Between 2007 and 2012 his group participated in nine international research projects funded by the European Space Agency. Working with industrial partners including GMV, Deimos Space, Alenia Thales and Astrium, these projects developed advanced verification and validation methods for applications ranging from hypersonic re-entry vehicles, launch vehicles, flexible satellites and autonomous rendezvous systems. His current research is focussed on the modelling, analysis, design and control of complex biological and medical systems. In 2006, he was awarded an EPSRC Discipline Hopping Research Fellowship with Prof. Jonathan Hardman of the Queen's Medical Centre of the University of Nottingham to pursue research on the Control Engineering/Life Sciences Interface - his collaborative work with Prof. Hardman has been continuously funded by EPSRC, MRC and industry since that time. He has served on numerous research grant review panels in the UK and internationally, including on BBSRC's Engineering and Biological Systems Research Committee, and subsequently BBSRC's Research Committee C on Technology and Methodological Development (2007 to 2010), on MRC's Systems immunology of the Human Life Course Review Panel (2013), as a member of EPSRC's Peer Review College (2013 to present), as a member, Co-Chair and subsequently Chair of the Research Grants Review Committee of the International Human Frontier Science Program (2009 to 2014), as Chair of the HFSP review committee for Career Development Awards (2016 to 2019), on the international ERA-NET Synthetic Biology Expert Evaluation Panel (2014), and on the Technology and Production Sciences - Biomedical Engineering Panel of the Independent Research Fund Denmark (2019). He is the co-author (with Carlo Cosentino) of Feedback Control in Systems Biology, published by Taylor & Francis. He acts as External Examiner for the M.Res. Degree in Systems and Synthetic Biology at Imperial College London, and for the Electrical & Electronic Engineering B.Eng Degree programme at Technological University Dublin. He has authored more than 200 peer reviewed research publications and obtained funding in excess of £10M from EPSRC, BBSRC, MRC, The Leverhulme Trust, ESA and industry.